Home Insights INFOGRAPHIC: Is Scientific Collaboration Broken? 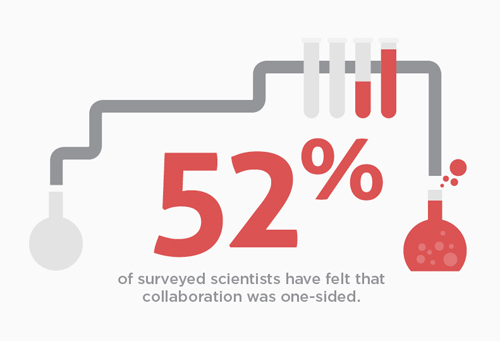 INFOGRAPHIC: Is Scientific Collaboration Broken? The people at Science Exchange surveyed over 1,500 scientists about their collaborations. This infographic summarizes the enlightening data they garnered. *Of the 1,500 surveyed scientists: 78% were biologists, 87% were academics, 75% had over ten years experience, and 70% were principal investigators. This infographic is brought to you by Science Exchange. If you're having trouble viewing the infographic, click here.